"A stay of roses and wine - literally and metaphorically!" 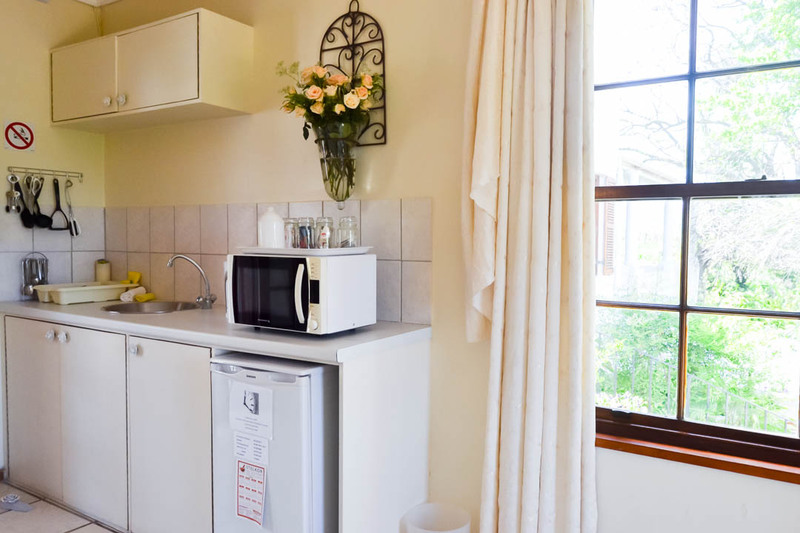 All rooms/units have private entrances, equipped kitchenettes, colour TV with 9 satellite channels and WiFi. All rooms are non-smoking. Linen, bath towels, swimming towels and hair dryers provided. 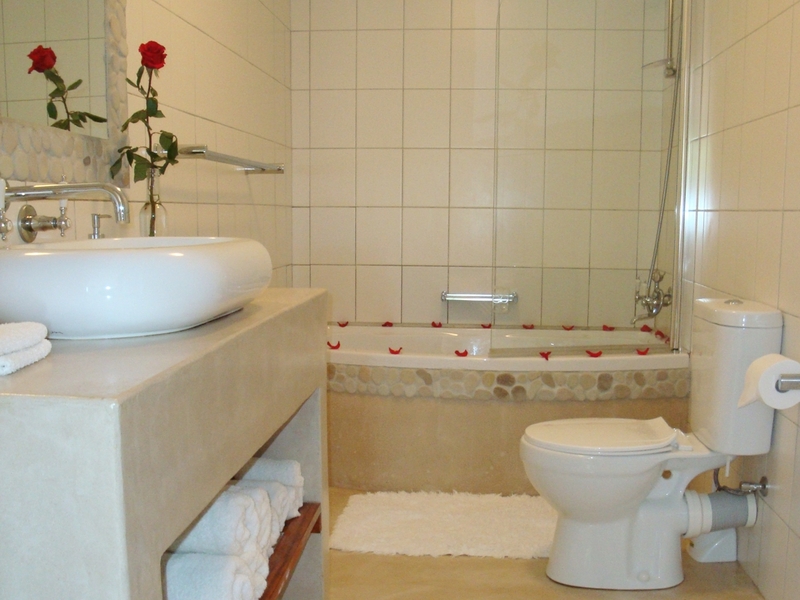 Fresh flowers or roses in all rooms. Off-street parking. Cleaning services (Mon - Sat). Washing and ironing by arrangement. Spacious stunning gardens and large exercise swimming pool. 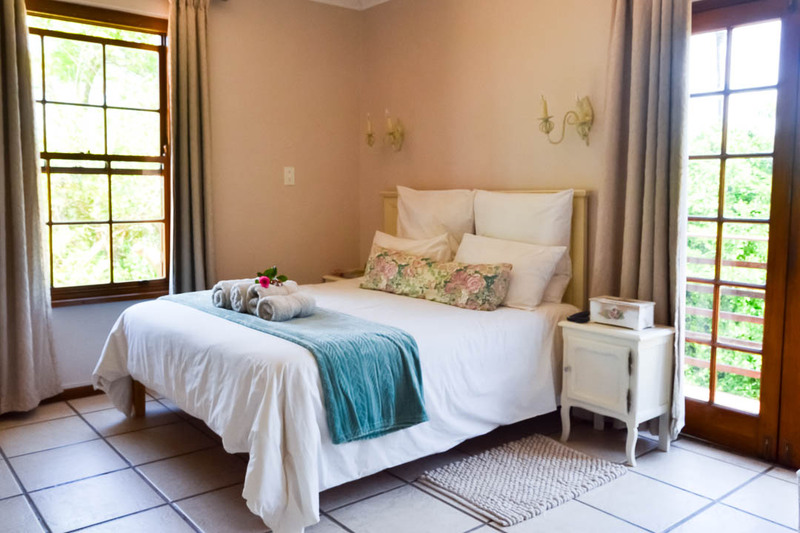 This spacious elegant honeymoon (double) room, decorated with peaceful inviting cream roses, has beautiful views over the vineyards, orchards, rose plantation and farm dam. 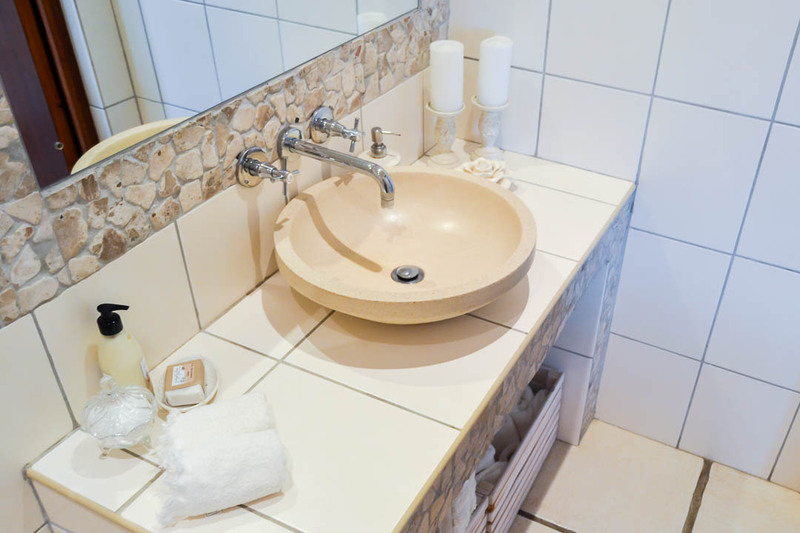 It has a queen bed, en-suite bathroom with shower (no bath) and equipped kitchenette. The room is cool in summer. Fan and heater. Barbecue facilities and patio shared with room 3. Colour TV with 9 satellite channels and WiFi. Sleeps 2 adults. We offer long stay specials and require a minimum stay of 2 nights. 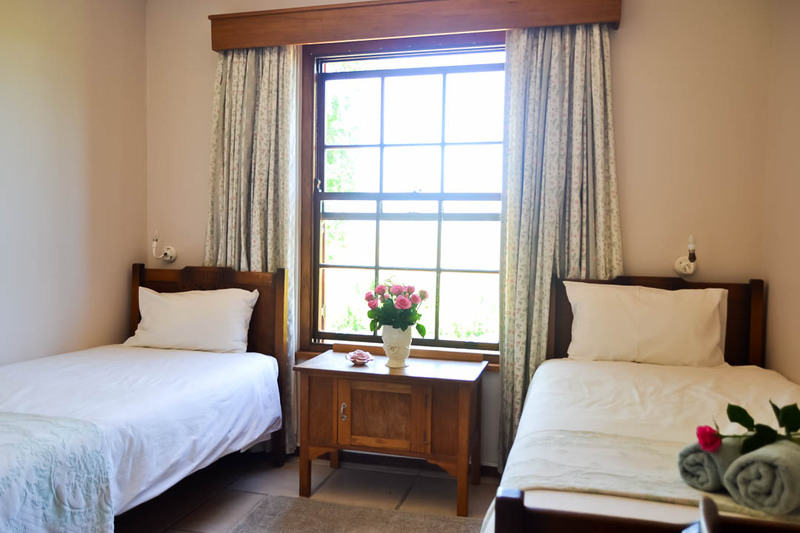 Room 3 has a queen bed, is decorated with homely pink roses and Rooms 2 & 3 (inter connecting rooms) could also be used as a family unit. Room 2 has twin beds. 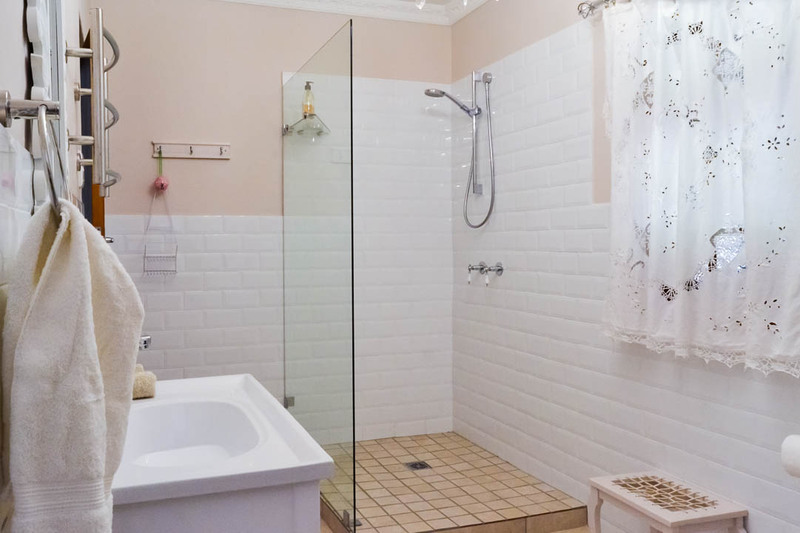 En-suite full bathroom (bath and shower). 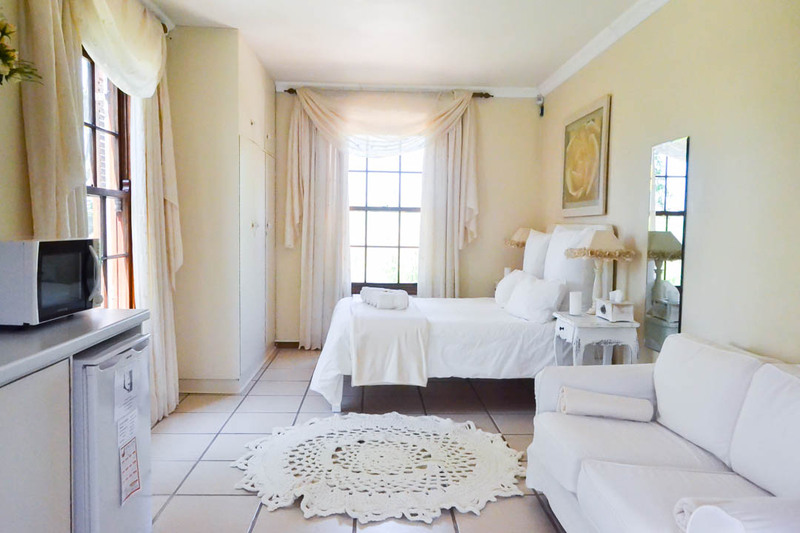 Both rooms have beautiful views over rose plantations, orchards, vineyards and farm dam. The rooms are cool in summer and has a heater and fan. 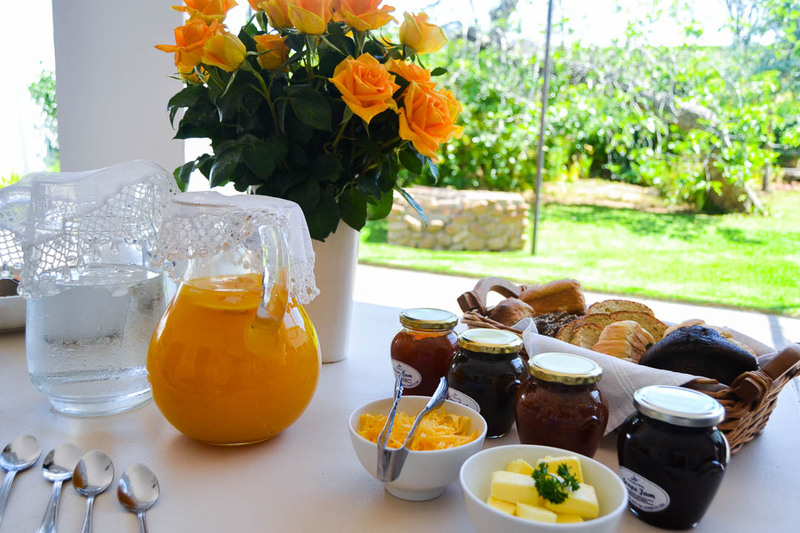 Equipped kitchenette and patio with shared barbecue facilities. Room 3 has a colour TV with 9 satellite channels and WiFi. Sleeps 2 to 4 adults, or 2 adults and 2 children above 6 years of age. 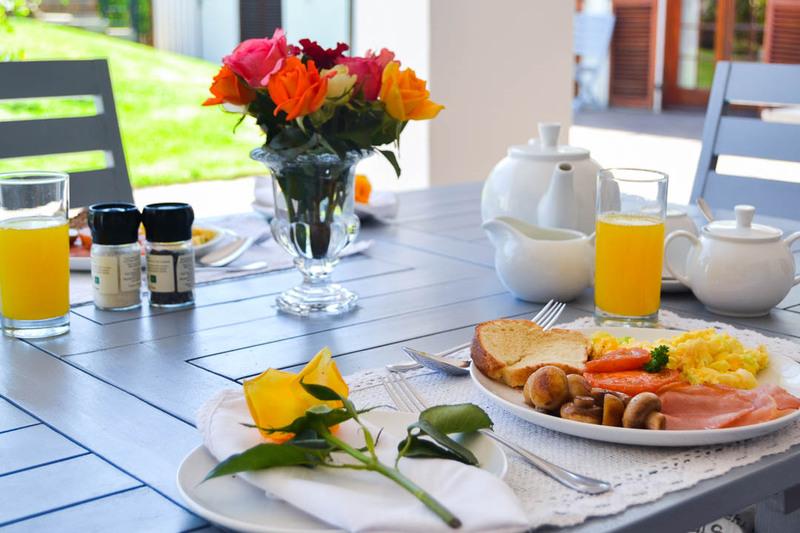 We offer long stay specials and require a minimum stay of 2 nights. 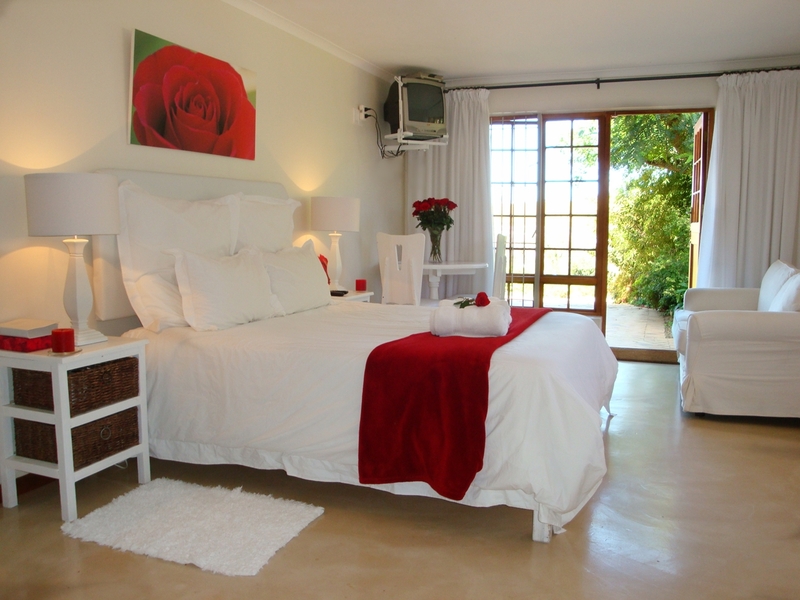 Decorated in white simplicity and romantic red roses, this spacious room has a queen bed, beautiful views, personal barbecue facilities on the ground floor and en-suite equipped kitchenette. En-suite full bathroom (bath/shower). Very cool room in summer with fan, heater for winter. Private barbecue nook. Colour TV with 9 satellite channels and WiFi. 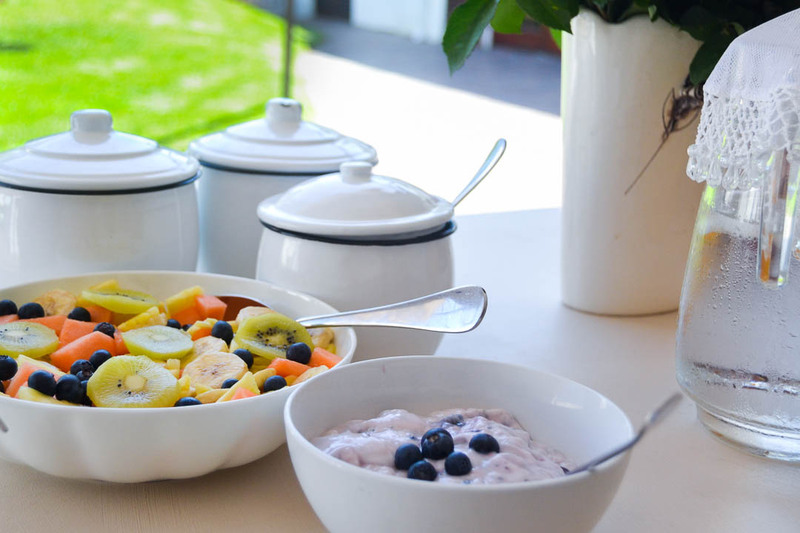 - Breakfast should be arranged prior to arrival. - Breakfast on the go available on Saturdays. - Top class restaurants 3-10 minutes away. 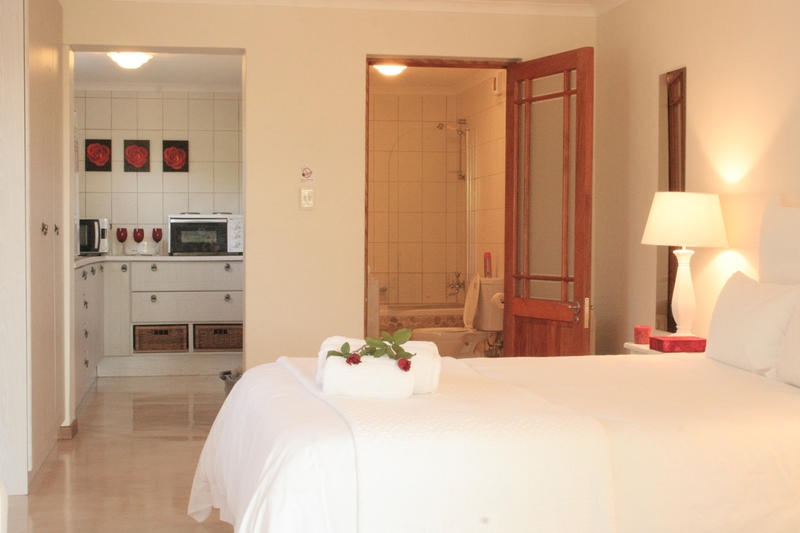 - All rooms have equipped kitchenettes and barbecue/braai facilities.